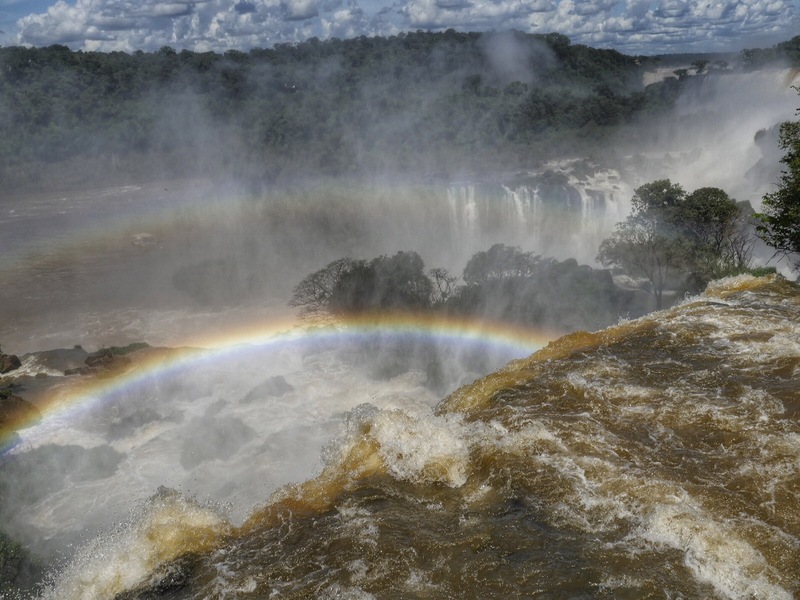 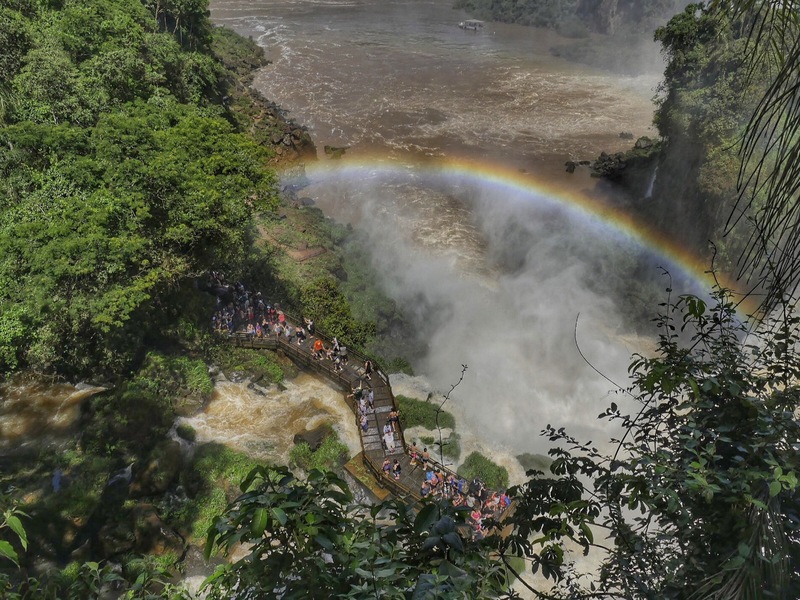 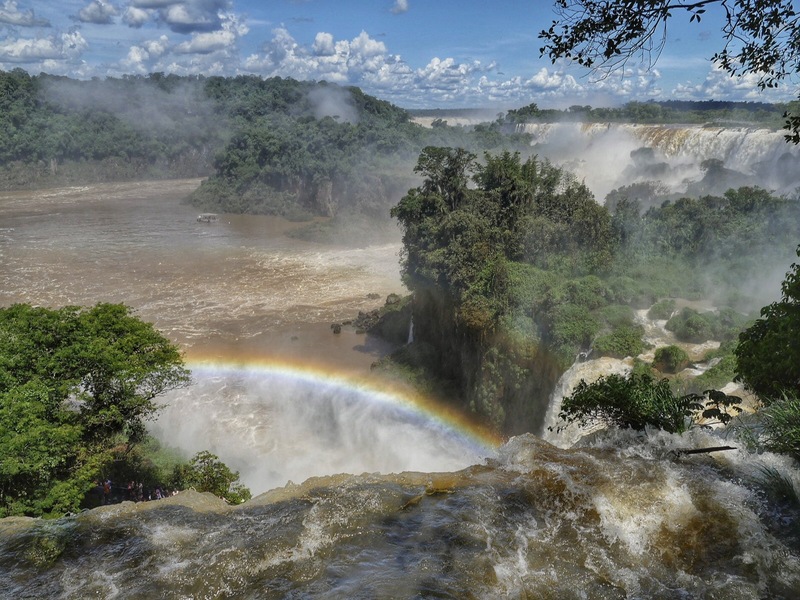 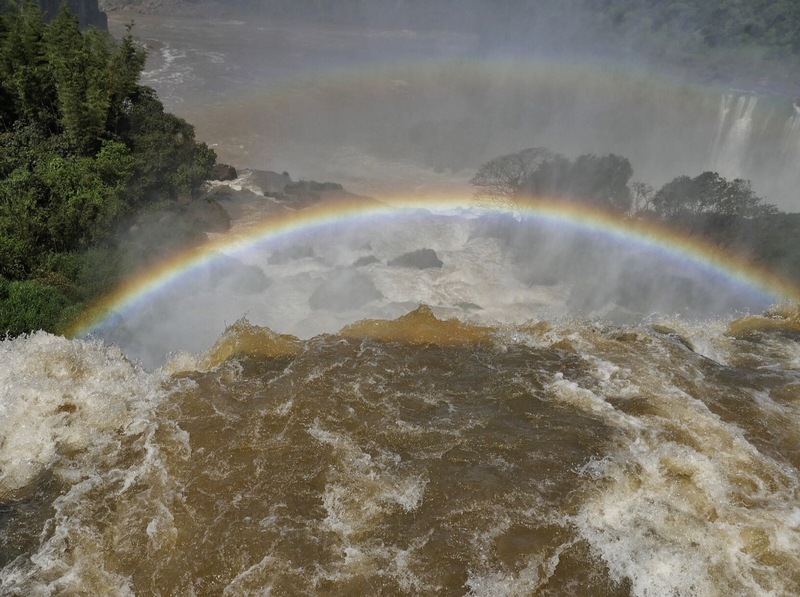 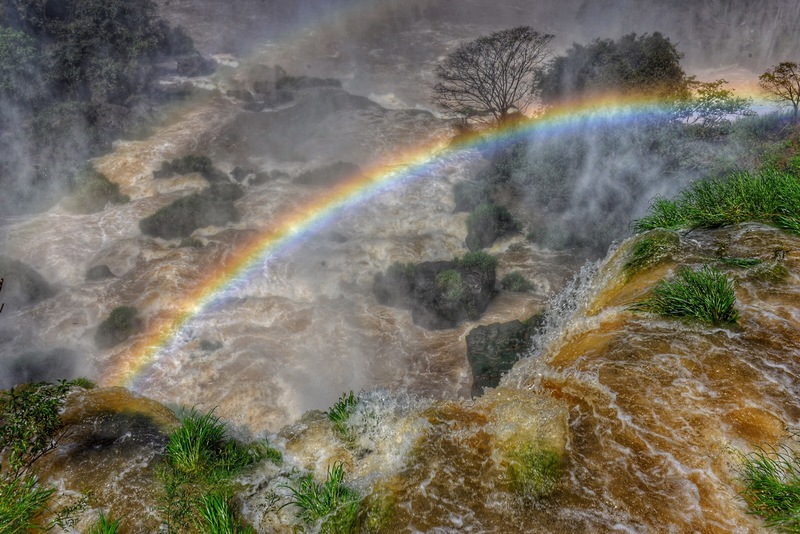 Iguazu Falls are truly a magnificent display of nature. 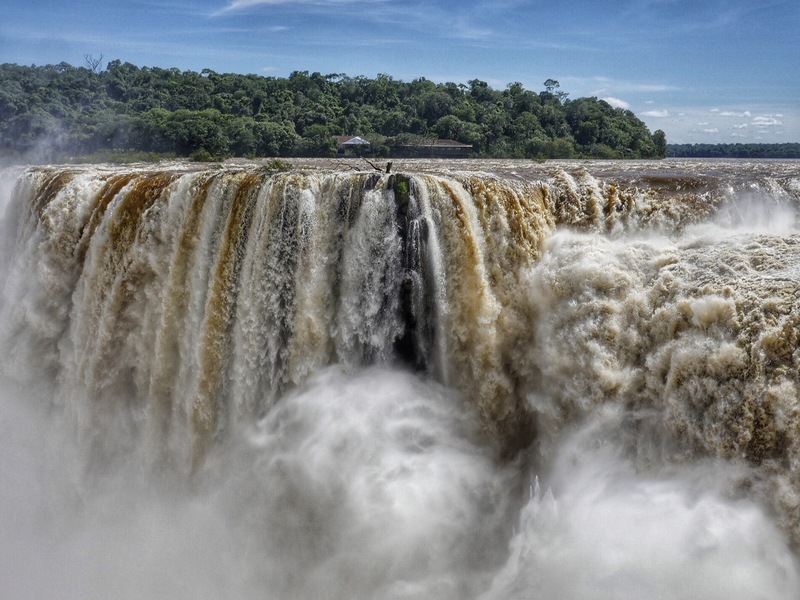 Their size and scale are unlike any other waterfall on earth. 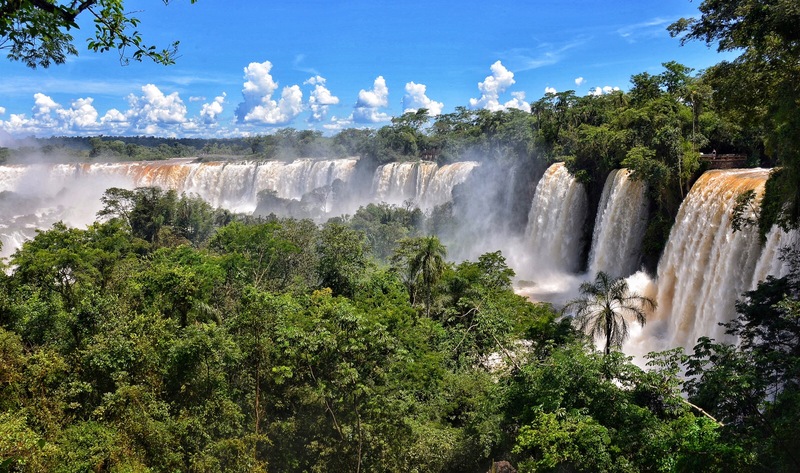 The falls may be viewed from Argentina and Brazil, we visited them from Iguazu National Park in Argentina as Brazil required a visa. The park has many catwalks and trails taking you over rivers and to the upper and lower circuit and Devil’s Throat. 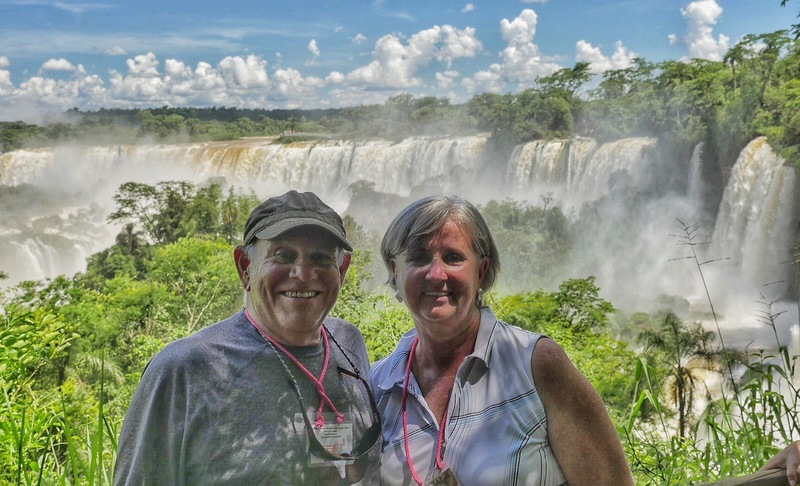 In all we walked over 7 miles to see the falls from different viewpoints. Iguazu is a system of 275 waterfalls or cataracts, with the exact number depending on the season. It spans an area 2.7 kilometers (nearly 2 miles) wide. 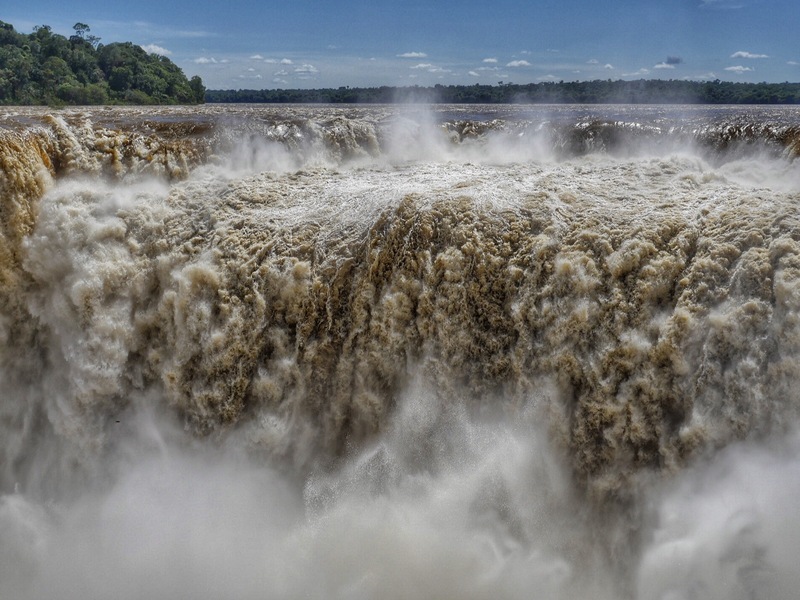 We visited them in their wet season, making the falls at its highest flows for dramatic photos and videos. 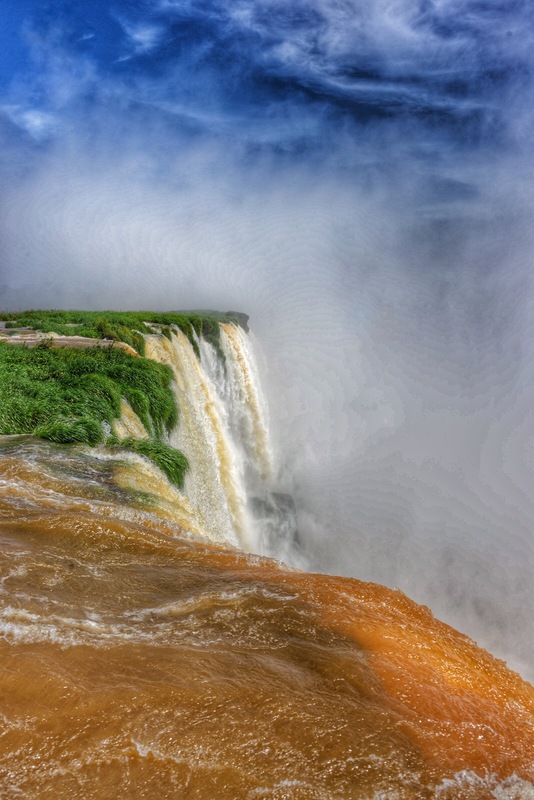 The tallest of these waterfalls, called the Devil’s Throat, drops by more than 80 meters into a milky abyss that creates a permanent cloud of mist. 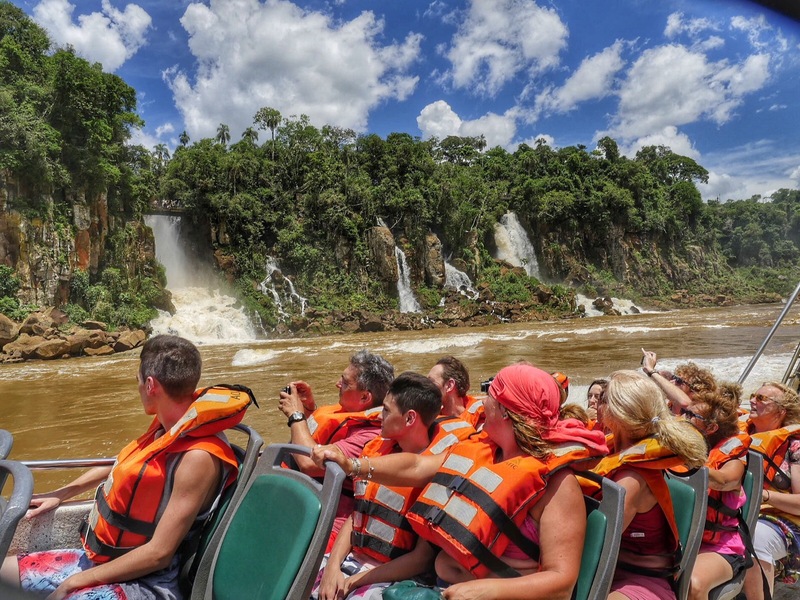 A highlight of visiting iguazu is a boat tour getting very close to the falls. 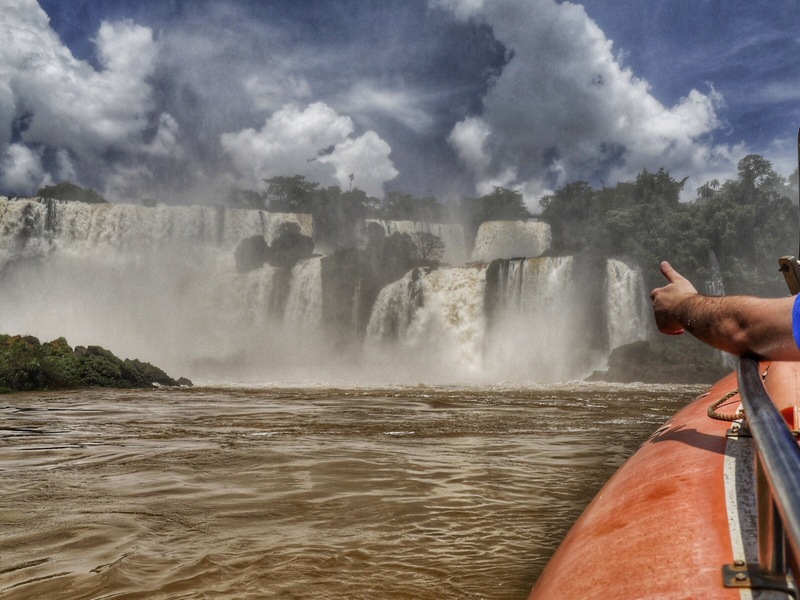 Our boat ride started in front of San Martins Island, inflatable speed boats head into the Devils Throat Canyon where we received an unforgettable baptism under the falls. 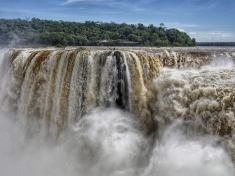 Check out our video of the falls.